Now you can send Free SMS to Pakistan without any registration to any mobile network (send SMS To Jazz, Warid, Ufone, Zong). These text messages can send in Pakistan to your family or friends from any where by vstudents SMS Service which is 100% Free of cost and working. From here you can send text from United States (USA), United Kingdom (UK), Canada (CA), China and all over the world without sign up or Login. Most of mobile subscribers who use free online message sending website from abroad to let their family members know about online status, important notification, casual messages or use online service to save money for international message charges. Follow the steps and for free of cost service which provides you best option to let explore all your desires via Free SMS in Pakistan. Share your thoughts, updates, Poetry, Quotes and funny jokes with friends, family and loved ones. Keep in touch instantly with your circle members with fastest delivery service without any delay which is provided here for FREE. You can send unlimited Free SMS with large number of characters supported and fast delivery time from computer via internet. Just select the appropriate mobile service provider on which you want to deliver text from the list below. Enter your Name, Your text message which you want send and finally enter the verification code shown in the box provided below. You can also send SMS in India without register. Here is the complete list of mobile networks that support SMS receiving functionality in Pakistan with their mobile codes. 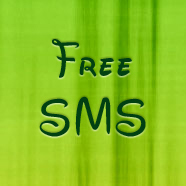 Select the exact provider with appropriate mobile code to send free unlimited text messages. Please keep in mind that your every single SMS in being track so, don't ever try to abouse using this Free SMS in Pakistan sending service.